Happy new year! Set off fireworks and don't forget to give your children a red pouch with money inside! Damn-I still keep writing "Year of the Rooster" on the checks. I've said this, too. I once said it to a Chinese co-worker, who'd brought in some moon cakes for Lunar New Year. He just sort of looked at me like I'd made words up. Turns out he spoke Mandarin. 1. It doesn't mean "Happy New Year". Evidently it's a wish for prosperity, which isn't a bad thing, but if someone approached you on Dec. 31 at 11:58 pm and said "may you be rich", you'd probably shake your head understandably. 2. It's in Cantonese, which is the preferred language in Hong Kong and parts of southern China, but not the majority language of Han Chinese. So now imagine someone saying to you on Dec. 31 "may you be rich" in French. This isn't a heckle. As I say, I too made a similar effort. But "knowing is half the battle". Here's all we need to know. Gong hey fat choy or gong xi fa cai literally translates to congratulations get rich. This is an idiom used around Guang Dong province including Macao and Hong Kong during the spring festival. I have passed more than several New Years in Nanning Guang Xi also a traditional Canton speaking region of southern China, but have never heard locals use this idiom. My wife tells me that it’s not completely uncommon and only rarely used. There’s a mind bongling amount of idioms used in China and I’ve even watched this one Chinese TV game show based on challenging contestants on their knowledge of their different idioms. Many barely make any sense and many more do not even translate into English! 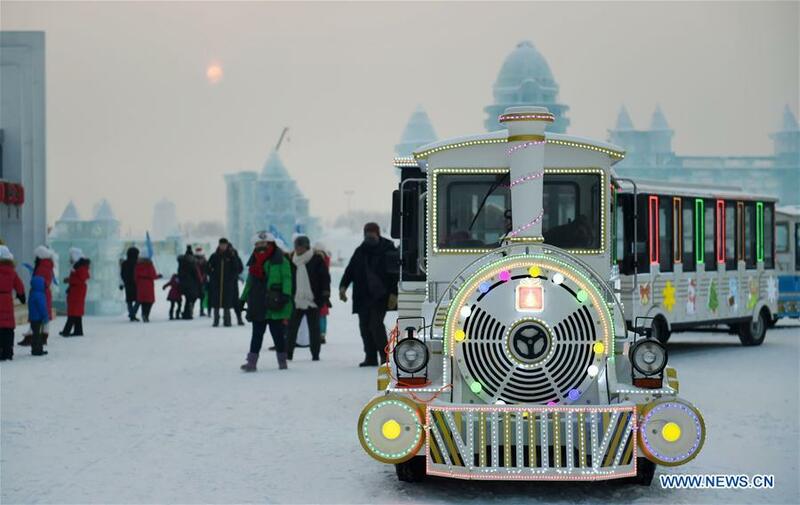 One of the things on my bucket list is a trip to Harbin during their Ice and Snow Sculpture Festival. It is very busy during the New Years festival but would be great. Gong hei fat choy is a West Coast of Canada expression. At one time in Vancouver the majority of immigrants from China spoke Cantonese and Richmond still has a large demographic of immigrants from Hong Kong. It has remained in popular usage despite the fact that now the majority of immigrants speak Mandarin. That is likely because it has become a common Canadian term used by English speakers. When I was a kid growing up on the Prairies, I learned gong xi fa cai.